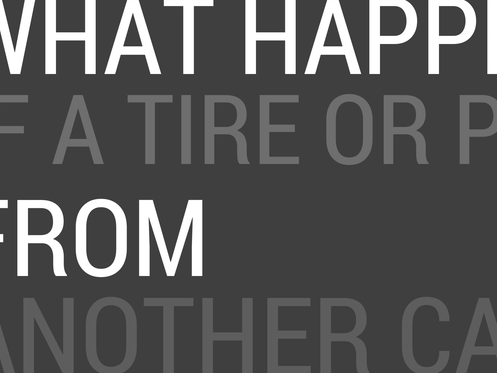 What happens if I am injured due to another vehicles tire or part falling off and hitting me? Do I have rights? Answer: Yes. In Arizona, a driver is responsible for the equipment on his/her vehicle. These kinds of car accidents can be very complex. It's crucial that you make sure you have the right kind of personal injury law firm representing you. What kind you may ask. Make sure the firm has handled cases similar to yours in the past, with success. Experience is key in these kinds of accidents, don't take a chance without knowing the law firm you hire can handle your case.